Liz brings exceptional experience and insight to all her clients. From San Diego’s spectacular downtown to La Jolla, Del Mar, Rancho Santa Fe, Solana Beach and up the coastline, Liz is intimately familiar with local schools, sports, arts and entertainment in and around San Diego. With roots in Detroit and New York, Liz grew up in a family deeply involved in Broadway Theater and entertainment across the United States, and in the auto industry in Michigan during it’s heyday. Liz graduated from the University of Michigan in 1981 and practiced as a Certified Public Accountant for several years. 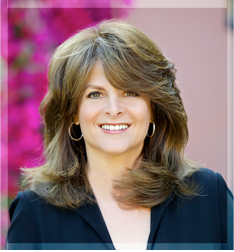 In 1985, Liz moved to San Diego with her husband, Eye Surgeon Dr. Dan Coden. While raising her three children in San Diego, Liz has been involved extensively in community affairs, in both public and private schools including Torrey Pines High School and La Jolla Country Day School, managing youth sports teams, serving as a Girl Scout leader and enjoying the benefits of life in San Diego. Liz has dedicated herself to community service for several San Diego charities including the Monarch School for homeless children, Kids Korps and is currently a board member of the Lawrence Family JCC. Fitness and health are extremely important to Liz and bike riding is one of her favorite pastimes. With the global exposure offered to her clients through Pacific Sotheby’s International Realty, combined with the precision and focus honed from her background as a CPA, Liz prides herself on attention to detail and dedication to every client. Her passion for San Diego real estate, beautiful homes, and an entrenched life in San Diego for over 25 years, makes Liz the perfect choice to help you buy or sell your home in San Diego.